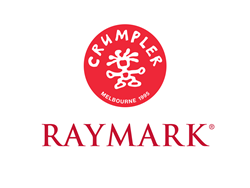 Iconic Australian bag maker Crumpler has selected Raymark’s cloud-based store management software suite for deployment in their stores worldwide. Raymark Point of Sale, Clienteling, Repairs, Order Management, CRM, Inventory Management and Analytics will be deployed in all stores and at headquarters, and will be integrated with Crumpler’s online store and ERP solution, enabling the organization to enrich relationships with its customers globally, and improve productivity in all areas of its retail operations. "We are so excited to partner with Crumpler, a global company who shares in our values of quality and service. This partnership also marks an important strategic milestone for Raymark as we broaden our market share in the Asia Pacific region. We look forward to a long and successful future with Crumpler," said Marc Chriqui, President at Raymark. Crumpler is an iconic Australian bag maker celebrating their 20th anniversary this year. Founded in Melbourne in 1995 by Dave Roper and Will Miller, and sculptor / furniture maker / bike courier Stuart Crumpler, they have now expanded across the globe. Their approach is simple - make bags, make them good looking, make them useful and make them great. Each of their products is purpose designed, constructed with quality materials and have a lifetime warranty. Known for great looking and indestructible technology carrying and camera bags, Crumpler also now produces luggage that has met an equally thrilled audience. http://www.crumpler.com. For 25 years, Raymark has been empowering retailers with world-class enterprise software solutions and services to grow customer loyalty, improve associate productivity, optimize stock turns and increase sales. Raymark’s integrated, end-to-end suite of retail technology solutions operate in real-time and provide retailers with everything they need for store operations, customer-centric retailing, planning and inventory management, reporting and analytics. To learn more, visit http://www.raymark.com.au.